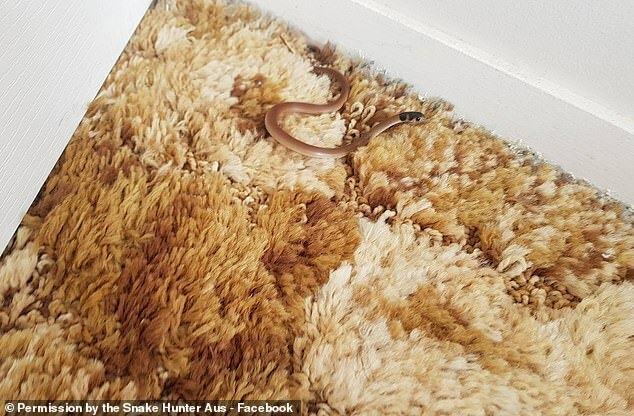 A deadly baby eastern brown snake has been found lurking in a teenage girl’s room after slithering under the bedroom door. The tiny snake was found by the girls mother who noticed it inside their home in Doreen, Melbourne. The deadly creature was barely recognisable as its brown skin camouflaged perfectly with the carpet. ‘The [eastern brown] is very common. Actually the most common snake I catch,’ he told Daily Mail Australia. 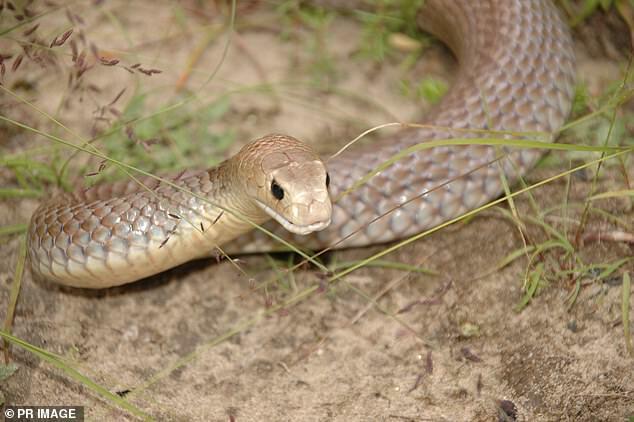 Eastern brown snakes can be identified easily as they usually have a the black blotch on their head or a dark neck band. Mr Pelley said he had captured four baby snakes in the last two days, despite snake season finishing in February. They have a prominent dark patch on the top of the head and across the nape, and some hatchlings also have dark bands down the entire length of the body. These markings fade as they mature, however in some populations the bands are retained into adulthood. The species is widespread throughout eastern Australia, from northern Queensland to South Australia. They have the unfortunate distinction of causing more deaths from snake bite than any other species of snake in Australia.